Kid gets one-million-bajillion-trillion-and-one pieces of candy and doesn’t understand why they can’t eat it all before Valentine’s Day is over. Or why they can’t at least have the one-million-bajillion-trillion pieces because they didn’t necessarily eat it all. And I’m not exaggerating. You know exactly what I mean! It’s Halloween all over again and you’re the worst mom ever. But, we’re gonna try to save you some of the stress. I mean, I can’t save you from it all because you know that they’re gonna get that candy (thanks, grandma *eye roll*). 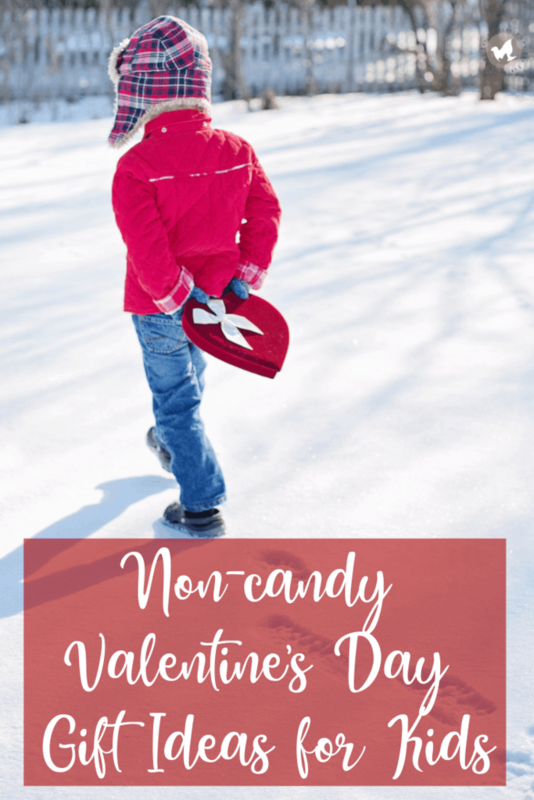 Instead of following the norm and getting all that candy for Valentines Day, try these non-candy Valentine’s Day gift ideas for kids! Seriously, stepping away from the candy is easier when there isn’t so much of it to deal with. We don’t go overboard for holidays, we keep things pretty minimal around this way when it comes to gifting, parties, and birthdays. I’m not discounting the holidays; the days are special, so we do special things. But I don’t believe that we have to spend a lot of money for it to be special. So, Valentine’s Day won’t be any different for us. We’ll make it special in the time that we spend together and not necessarily the amount we spend or the gifts we receive. However, we do like to celebrate Valentine’s Day by recalling the love we have for our children, for each other, and for our Saviour! Shutterfly is no longer just a picture service. They have a HUGE assortment of gifts and it’s all about personalization- and I don’t just mean names. I don’t know about your kids, but mine love one of a kind gifts and take better care of them than toys! My mom got Johannah this adorable matching game with pictures of all of the family on them. How cute! If you’re into photo blankets and night lights, they’ve got that too. BUT, how about these amazing personalized kid’s superhero capes, cards, and puzzles! I could have put this in there with Shutterfly, but there are so many more options out there. Check out places like Amazon, Etsy, or Shutterfly. If you think about a persons hobbies or personality and match that to a practical present, it’s easy to find a gift that they’ll love! If you’re not for personalized items, then maybe these Willow Tree Sculptures are for you! I LOVE THESE! In our family, we like to do Hope Chests. It’s an actual chest that gets filled with keepsakes, special gifts, and useful items for the future. Sometimes it’s big things like a handmade blanket that has been passed through generations, and sometimes it’s letters or even dishes! Maybe you’ll want to start that with someone your family. You can start with something as small as a letter or a family heirloom that you can pass down through the ages. If your child is little, maybe start with a smaller “chest” and explain the importance of it! I don’t know if there’s anything better than a child seeing their face or name in a book. This is such a cool gift! My aunt and uncle gave me a personalized book when I was a child and they’ve come a long way since then! My book was just a girl with a cutout face through the whole storyline with a picture of my face glued to the last page. But hey, I still have that book now and Johannah loves reading it! Now, you can get books printed JUST for your kids! This is one of my favorite non-candy gift options! Back during Christmas, I wrote a post about how I’d much rather that my kids get experiences than gifts. And it holds true! Actually, my parents got my kids a membership to our local kid’s museum for Christmas and we can’t wait to use it! If you’re looking for some ideas, check out my Ultimate Homeschoolers Gift Guide, it has a portion for experience ideas! Don’t forget, this is the month of LOVE. Find something that you can do together as a family or with each of your individual children to make it special! I saw this idea when I was browsing through Pinterest and thought it was just too adorable not to share! This is great to include a little candy here and there as good behavior perks, or as a non-candy Valentine’s Day gift for kids. You can do things like “when you feel sad”, “when you make a good grade”, when you feel lonely”, “when you do a good deed”. There are so many options when it comes to these Open When Letters and it can be very low cost depending on what your cards read! Maybe it’s just the writer in me, but I love sending/receiving handwritten notes. Such memories lie behind every crinkle of the paper and every stroke of the pen. Each word, hand-drawn, right from the mind of the person who took the time to write it for you. What memories! Do you have any non-candy Valentine’s Day gift ideas? 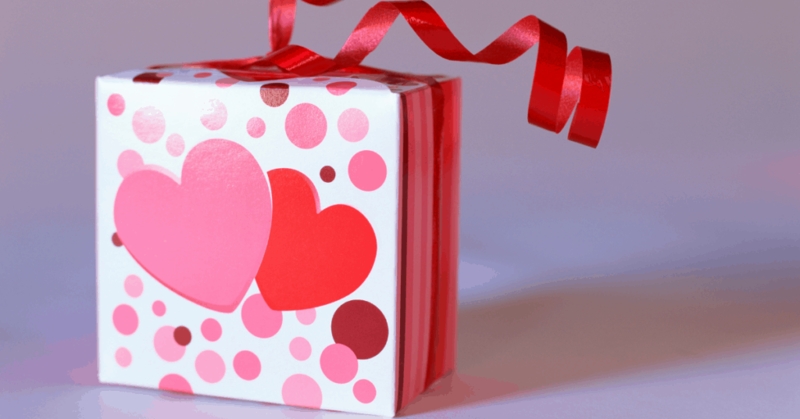 What about Valentine’s Day traditions? If you enjoy our own list of non-candy Valentine’s Day gift ideas for kids, we’d love to know! Comment below, pin it on Pinterest, tweet about it on Twitter, share it with your Facebook friends!